Why Choose Dental Urgent Care At Penn Dental Medicine? When stricken with a mysterious illness, unfamiliar rash or sudden pain, many individuals seek the guidance on the internet, typically using an online symptom checker. Of course, more often than not, the problem diagnosed by the internet differs greatly from the diagnosis of a real, qualified doctor. As many patients of online diagnosis tools have learned, there is no substitute for a live physician or expert. With that in mind, we’ve provided a general guide below to review when considering seeking dental urgent care. Though general, the following guidelines can help eliminate unnecessary worries and highlight the potential real problems. Momentary sensitivity to hot or cold foods/drinks is fairly normal and not a cause of worry. If that sensitivity comes 3-4 days after treatment by a dentist, it’s also quite normal, since inflammation of the gums frequently occurs after treatment. 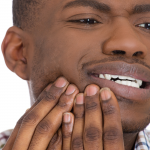 Dull aches and constant pressure in the jaw are generally due to the grinding of one’s teeth. It’s always a good idea to see a dentist, if you suspect that you may be grinding your teeth at night. A mouthguard will easily take care of the issue for you, eliminating the accompanying aches and pains. 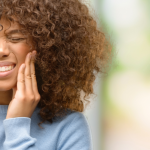 Sharp pain when biting down could be a symptom of multiple issues–loose fillings, or a decayed or cracked tooth–all of which necessitate a visit to the dentist’s. 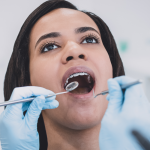 Urgent dental care is not always necessary in these cases, which is why a general practitioner can examine you and determine the depth of the problem. Prolonged pain (30 seconds or more) after eating hot or cold foods indicates damage to the pulp. Whether brought on by trauma or decay, you’ll need a root canal. While a general dentist can perform the necessary root canal, Penn Dental Medicine’s dental urgent care is faster, you’re guaranteed access to an endodontist, and it’s cheaper! 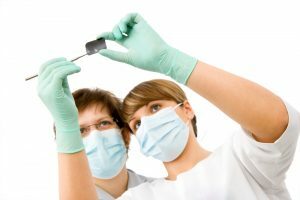 Where can I find urgent dental care near me? Look no further than Penn Dental Medicine. If you believe you are experiencing a dental emergency that requires dental urgent care, Penn Dental Medicine can take care of it for you. In addition to receiving thorough, expert care in response to your urgent dental needs, you’ll also receive reduced fees relative to many private practices. When is it available? 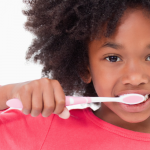 24-hour emergency dental care is crucial. Penn Dental Medicine offers dental urgent care Monday-Friday from 8:00am – 4:30pm. Outside of those hours, as well as on weekends and holidays, call 215-898-8965. Specific directions will be given to you to ensure that you get the right treatment, right away. Penn Dental Medicine’s commitment is to you. Don’t just soldier on through the pain; listen to your body, and the doctors at Penn Dental Medicine can help you understand what it’s trying to say.